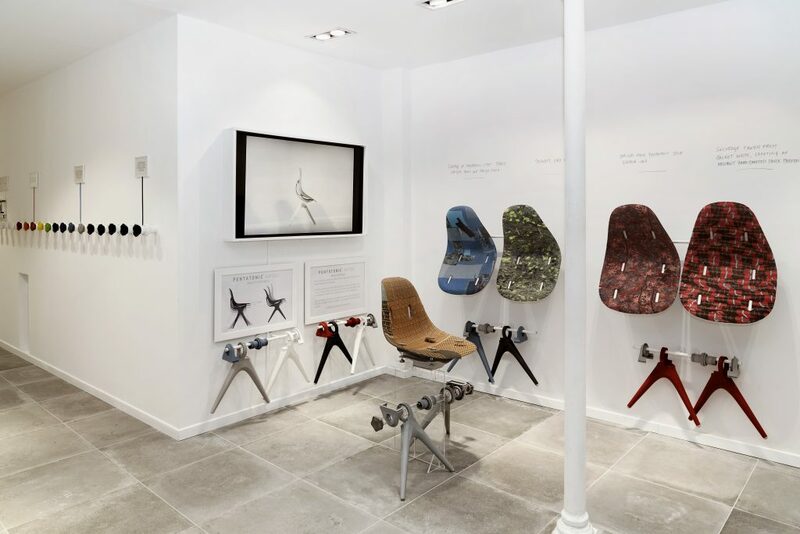 New circular technology brand Pentatonic opens pop-up store in Paris with all products made from fashion waste. Upcycling technology and lifestyle brand Pentatonic are popping up in the heart of Le Marais, Paris, in the gallery space ‘The Supermarket’ on Rue Des Gravilliers for two weeks – with a simple objective, to demonstrate the beautiful and extensive possibilities of re-engineered fashion waste. Pentatonic has rapidly established its reputation as the world’s only truly circular brand, with all its products being made from post-consumer waste and also being 100% re-recyclable meaning everything is designed for reinvention and nothing is wasted post-use. With the world’s first such circular business model, whereby the brand buys its products back from its consumer, Pentatonic has captured the imagination as a brand presenting the future of consumer product design, manufacturing and usage. 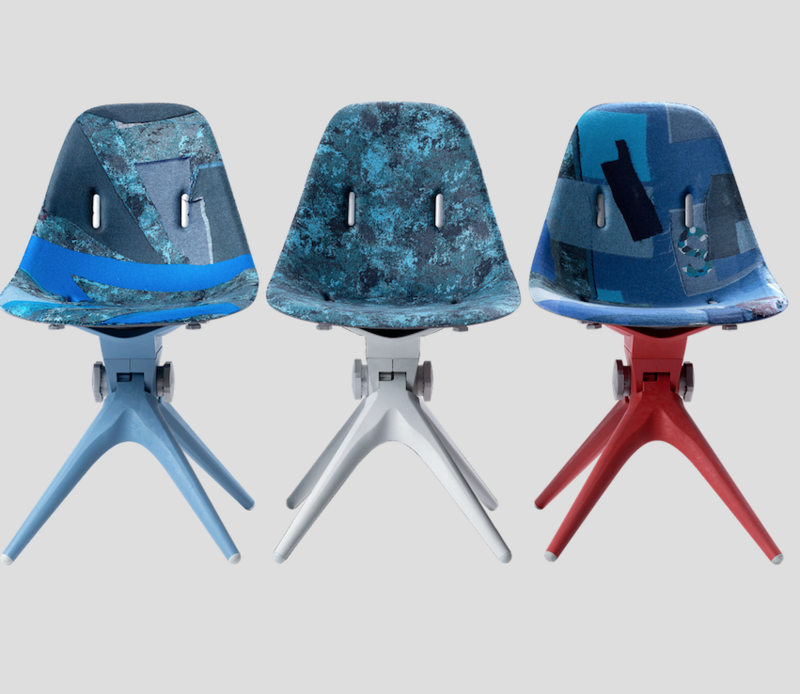 Since its launch, at the London Design Festival in September 2017, Pentatonic has applied its unique technologies to address multiple consumer waste streams by upcycling them into premium products and applications. Chairs from coffee cups, tables from DVDs, cushions from plastic bottles, jewellery from cigarette butts and glassware from mobile phones are just a few examples already released in its first six months. New Clothes by Pentatonic, is especially significant as it marks the launch of the brand’s first collection made using fashion waste. Pentatonic’s unique technologies allow for the transformation of polymers such as polyester, a widely deployed material in the fashion industry, into dramatically different manifestations such as engineered structural furniture or flexible, breathable Plyfix matrix-based felt. All the while always maintaining re-recyclability. The process behind this new generation of Pentatonic products is a blend of highly advanced automotive technology with delicate hand-curation and fabric assortment. High tech manufacturing meets artisanal curation. It begins with the sorting of high-end fabric waste by colour, structure, and material-composition. Various fabric collages are then designed through the exploration of rich combinations of textures, shape and hues. The soft collages are then transformed into functional three-dimensional objects via cutting-edge thermal laminations and 3D forming technology, creating a unique intersection between unique textile craftsmanship and advanced technology from the automotive industry. And whilst the collection is underpinned by world-leading, IP-protected technology, some of the New Clothes pieces display beautiful hand-curated artistry in their finish, making many of the chairs and coat hangers unique pieces – 1 of 1s. But it doesn’t end there, it never ends, as Pentatonic will buy back used products from the user, recycling them into yet new products. The industrial precision process and material science that enable Pentatonic’s production are also key to re-recycling all items in the New Clothes collection in the future, introducing the molecules into the infinite loop of creation and recreation. The hero products from the New Clothes collection, are an extensive series of AirTool Chairs and Hangers, based around three colour stories. Each individual product will be a 1 of 1, such is the extent of the hand curation involved. Discarded t-shirts, laces, damaged dresses, faulty jackets and leftover design studio and factory off -cuts have been salvaged from multiple sources across Europe. 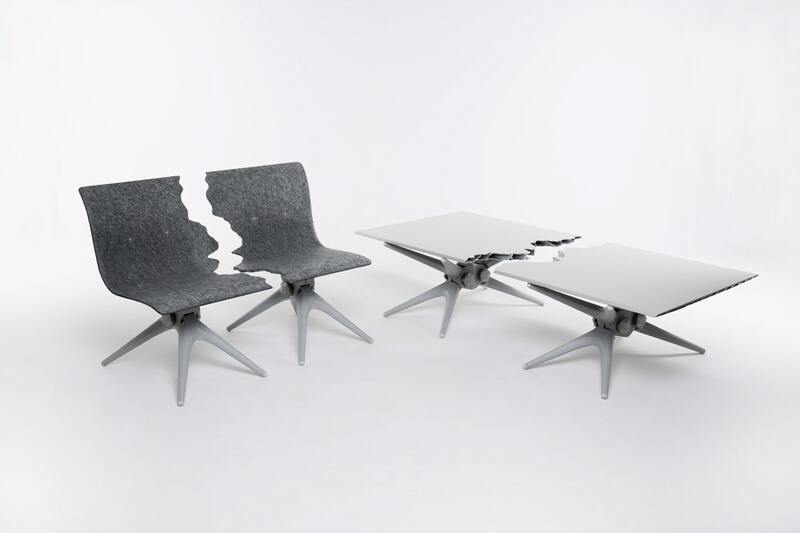 New Clothes will also be the the first showing of Pentatonic’s ‘Fractured’ series, the widely talked about furniture collaboration with iconic New York based design studio Snarkitecture, which launched earlier this month. The Fractured product will be on display throughout the store’s opening period. Fractured with Pentatonic, is about taking the everyday, taking the existing, and transforming it into something unusual and extraordinary. That’s the future. New Clothes by Pentatonic is open until April 22nd at 10 rue des Gravilliers 75003 – Paris. All products on display at New Clothes are also available at Pentatonic.com. This entry was posted in Art Stuff Paris, DESIGN, TECH and tagged circular brand, Daniel Arsham, Pentatonic, recyclable, upcycling. Bookmark the permalink. 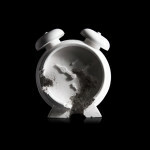 Daniel Arsham’s Future Relic 03 ‘Clock’ Launch Friday May 8th Colette Paris. 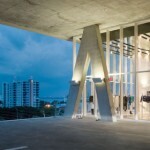 colette « Art Drive-thru » at Art Basel Miami Beach with Alchemist.